A former British and US Women’s Open champion, 44-year old Neumann represented Europe in six Solheim Cups between 1990 and 2000 and was a vice captain under Alison Nicholas at the 2009 Solheim Cup. She succeeds compatriot, Carin Koch, whose European side put up a spirited fight before losing 15 ½ - 8 ½ at Aurora Golf Club, Illinois, in 2009. Her opposite number will be the formidable Meg Mallon, who won 19 LPGA Tour titles and represented America in eight Solheim Cup matches. She was also a vice captain under Beth Daniel at the 2009 Solheim Cup at Rich Harvest Farms. Neumann takes over the role having been one of the stand-out performers in women’s professional golf over the past two decades. She won the US Women’s Open in 1988, her rookie season on the LPGA Tour, and then also claimed the 1994 Weetabix Women’s British Open, making her just the fifth player, after Laura Davies, Jane Geddes, Betsy King and Patty Sheehan, to achieve that impressive transatlantic double. She went on to win a total of 27 Tour titles worldwide and was also a member of the winning European Solheim Cup side at Dalmahoy, Scotland, in 1992, when she defeated King in the singles. Neumann admits she was delighted to be asked to Captain the 2011 European PING Junior Solheim Cup team and believes she can use her experience to get the most out of her young side. “I’m excited and honoured to be named as Captain of the European PING Junior Solheim Cup team,” she said. “This event represents a wonderful opportunity for girls to play on a team against other top players. Representing Europe is always something special and really motivates you to become a better golfer. PING founded The Solheim Cup back in 1990 and has been the title sponsor of the PING Junior Solheim Cup since its inception back in 2002. The company’s Chairman and CEO, John A. Solheim, is delighted Neumann has accepted the invitation to be Captain for a match that is to be played just a few days before The Solheim Cup gets underway just 15 minutes’ drive away from Knightsbrook Hotel Spa & Golf Resort at Killeen Castle on September 23. “We are extremely excited to have Lotta Neumann named as Captain of the European team for the 2011 PING Junior Solheim Cup,” he said. The 2011 PING Junior Solheim Cup is the sixth in a series stretching back to 2002 and is contested by two 12-strong teams of girls aged between 12 and 18. Previous competitors include Anna Nordqvist, Melissa Reid, Marianne Skarpnord, Paula Creamer, Morgan Pressel, Brittany Lincicome and Brittany Lang. This year’s event is the first to be held in Ireland. 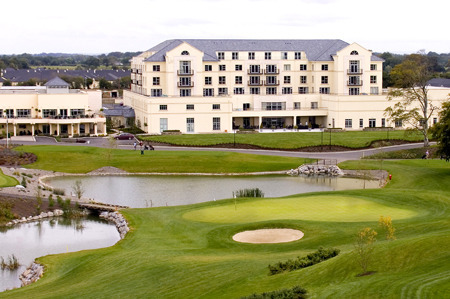 The Irish Ladies Golf Union is the Official Host, Twenty Eleven ILGPL is the Promoter, Knightsbrook Hotel Spa & Golf Resort is the Official Venue and all three see it as a huge opportunity to enhance the profile of girls’ golf within their country. 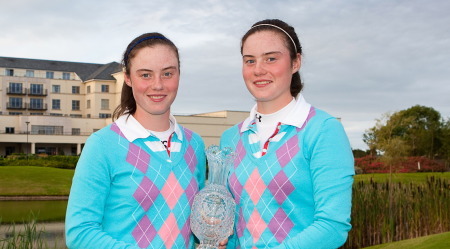 Roddy Carr, from Twenty Twelve ILGPL, echoed those sentiments when he said: “We expect tremendous excitement and support in Ireland around the PING Junior Solheim Cup with the anticipated inclusion of the now-famous Maguire twins, Lisa and Leona. 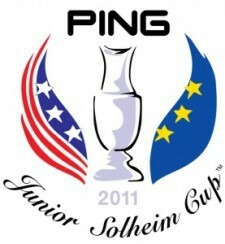 “The PING Junior Solheim Cup will be fully included in The 2011 Solheim Cup and will act as a curtain raiser to the main event played just down the road from Knightsbrook at Killeen Castle. Royal County Down Ladies' Olivia Mehaffey has been named in the European team for next month’s PING Junior Solheim Cup at St Leon-Rot GC in Germany.